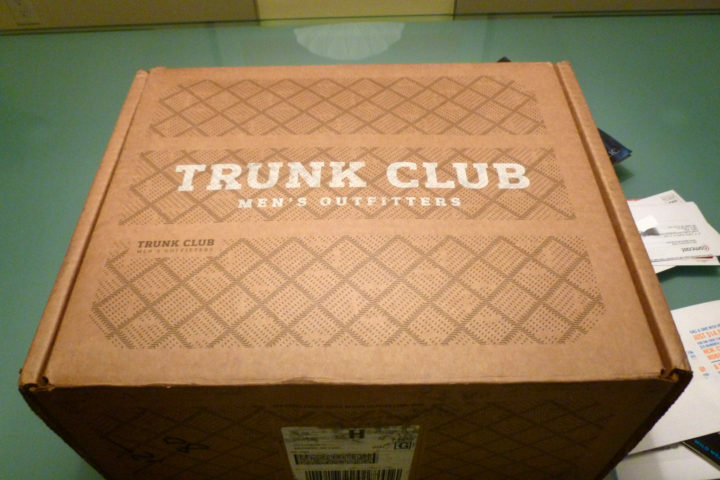 Trunk Club is one of the hottest new ways to find men’s fashion online… delivered right to your home. Here’s my personal Trunk Club review to give you an idea of what to expect with every step of the process — from the moment you first click your mouse on TrunkClub.com to the exciting day when the delivery person knocks on your front door. Trunk Club is a fantastic shopping service for the busy, fashion-conscious man. You get a free personal stylist… and personal shopper! Their expert stylists pick out clothes for you — with your input — and mail them to you in a fancy cardboard trunk. Whether you’re an executive always working to put your best foot forward with a client or a love-struck young professional looking for the perfect big date outfit, Trunk Club has you covered. At its heart, Trunk Club is a place you can go for a personal style consultation — either online or in their brick & mortar store in Chicago. The website is very straightforward and user-friendly. This is supposed to reflect how you feel about fashion. If you don’t really know or care about fashion, choose clueless. If you’re reasonably comfortable with your own shopping and know what you want, choose confident. If you’re a real clotheshorse who knows his fashion and spends a bundle looking good, you’ll definitely want to pick aficionado. After you chose your fashion level (I went with confident), you will be presented with a handful of pictures of outfits in that category. Choose one that looks like what you want, or pick the empty hanger if you don’t like any of their examples. You won’t be choosing these exact clothes, just the general look and style you’re going for. Then you’ll be asked to pick what stores you normally shop at from a list of large department stores and clothing retailers. Choose any or all of the brands that you like, or none. Finally, finish your Trunk Club profile with your contact information — so they know where to mail your trunk. You also need to have a credit card on file with them, in order to pay for the items that you keep from the trunk they send you. After you complete your profile, you’ll be matched with a personal stylist. I was set up with a stylist named Annalyse, whose picture makes me wish Trunk Club was a dating site. Your stylist takes the information from your profile and contacts you by phone or Skype. They discuss your ideas and preferences and answer any question you may have, no matter how stupid (trust me). Talk to your stylist! Be clear about what it is you are looking for, to the best of your ability. The stylist can only use the information you give them to make choices for you. If you’re not clear, you’re more likely to be unhappy with the contents of your trunk. By the way, Trunk Club stylists are salaried employees who receive a commission on all purchases. So they want to send you items that you will actually like… and wear. Your Trunk Is In The Mail! After your personal stylist assembles a trunk for you, it’s shipped to your door. At first, your personal stylist is likely to be a little off on one or more of those 3 items (particularly price range), but the more you order from them the more accurately they can interpret your style in future trunks. So, what are the clothes like? The clothes are top name brands from top designers and — as you might expect — they are not cheap. That brings us to the best part of Trunk Club: there really is no commitment! When you receive your trunk, you try on the clothes in the comfort and privacy of your own home. Each item of clothing is packaged and marked inside the trunk so you know what’s what and how much they will set you back. Pick what you want to keep, if any, and send the rest back within 10 days. Bonus: It’s free shipping both ways, so there really is no out-of-pocket expense to try Trunk Club. A word of warning, though: if you don’t send the trunk back to Trunk Club within the 10-day timeframe, you’ll be charged for everything you were sent. This could be an expensive mistake. In my opinion, if you’re someone who never has time to shop, hates pushing through crowded malls, or just needs help choosing what to wear, Trunk Club is a good service. Our guest contributor, Colin, is a trained emergency medical technician with over a decade of experience as a medical technologist. He writes on the topics of men’s fashion, medicine, technology, health and wellness, console and PC gaming, and home improvement.